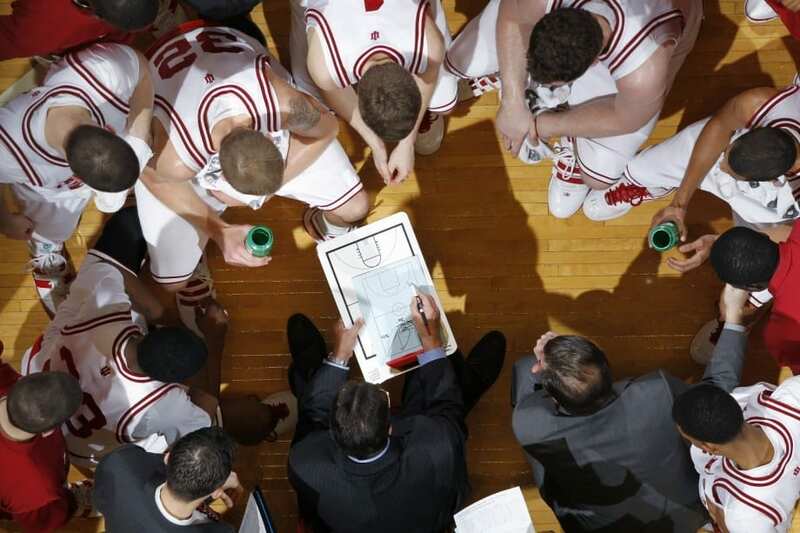 How much is a coach culpable for the right or wrong actions of his players? In today’s society, you would think he’s just as responsible or more responsible for their actions. I would argue that he’s not responsible for everything, and maybe not anything, but hear me out before throwing any stones. Seems there are some rumblings at the University of Indiana about how Tom Crean’s basketball team is acting, and the cynics are blaming Crean. They think it’s so much his fault, that they want him to lose his job. Some would argue it’s really a smokescreen for the real issue—Crean hasn’t won enough (in the minds of IU fans). Others, though, would argue that if the players are bad, it’s because the coach isn’t teaching them to act better or he isn’t recruiting the type of players who will act better. Both of those points are valid, but it isn’t as easy as that. Granted, Indiana fans are rabid, high-IQ basketball fans. They have passion, sometimes spilling over into judging the ethics of their coaches. A lot of fans do this with their teams, but when IU basketball fans do it, it carries more weight. Basketball is to Indiana what football is to Texas. My office mate, who is from Indiana, is so into IU basketball that he wears those cool, red and white striped warm-up pants during games —while watching in the office or at home. That’s dedication and passion. I respect it and admire it. What I have trouble admiring, though, is the blame that some fans (not my office mate) heap on Crean because of the actions of his players. When did responsibility of others begin to be someone else’s responsibility? It’s laughable and somewhat naïve to think that way. Sure, Crean could recruit a certain type of kid, but when does instruction come? Where do teaching moments happen? How can you help a kid who is already what you want them to be? And who will help the kids who don’t fit the All-American mold? Someone has to reach out to those kids. Jesus certainly didn’t recruit the best of the best as far as His disciples were concerned. He didn’t take religious students or graduates, Jesus took rough men who He could mold. And guess what? One of them (Judas) betrayed Him, and another (Peter) denied him three times when Jesus needed him most, and others ran like children do when frightened at a haunted house. Was Jesus not fit to be the Messiah because He chose men with questionable character and questionable actions at crucial times? Absolutely not. Jesus understood He could teach them and build into their lives, but at some point they would have to make their own decisions to follow Him or not follow Him, or to do what they knew was right or not do what they knew was right. And when they did wrong? Except for Judas, they all came back, acknowledged their wrong and lived so passionately for Jesus that they died for their faith either by crucifixion, stoning, spearing or beheading. One was exiled and left to die. My point? Anyone who blames Crean is naïve and ignorant of what it takes to parent, teach, coach or lead people. Or they’re just too blind and can’t seem to get the mote or plank out of their own eye, as Jesus told they hypocrite in Matthew 7:3 and Luke 6:42. If former Florida State football coach Bobby Bowden was judged by his players, he would have no chance today and would likely not be speaking in any churches. But people who knew Bowden, knew his heart for kids, and knew that he evangelized openly and saw the lives of numerous kids and coaches changed because they saw Christ in him. But, like any team or group of people, there were players who chose to ignore anything spiritually related. Even though Christians and unsaved people get in trouble, they are all responsible. Good or bad decisions. When we are asked about our lives, we ultimately will have to answer for our actions and responses to situations we encountered. Not the actions and responses of others. Joseph is a great example. He was sold into slavery by his brothers, spent time in prison, rose to second in command in Egypt, and forgave his brothers. His response to his brothers’ actions, though, was his responsibility, not his brothers. I don’t think the actions of the Indiana players are necessarily a reflection of Crean (or any coach when their players mess up). It’s really a reflection of the parents of those students and the students themselves. The parents had a responsibility to raise them and the kids had a responsibility to choose right or wrong. All of that has to be dealt with before Crean can shoulder any of the blame. Ultimately, it comes down to our choices. Our response shows our character, not necessarily the character of a coach or parent. This column was published in Sports Spectrum’s Fall 2015 print magazine. Log in HERE to view the issue. Subscribe HERE to receive eight issues of Sports Spectrum a year.